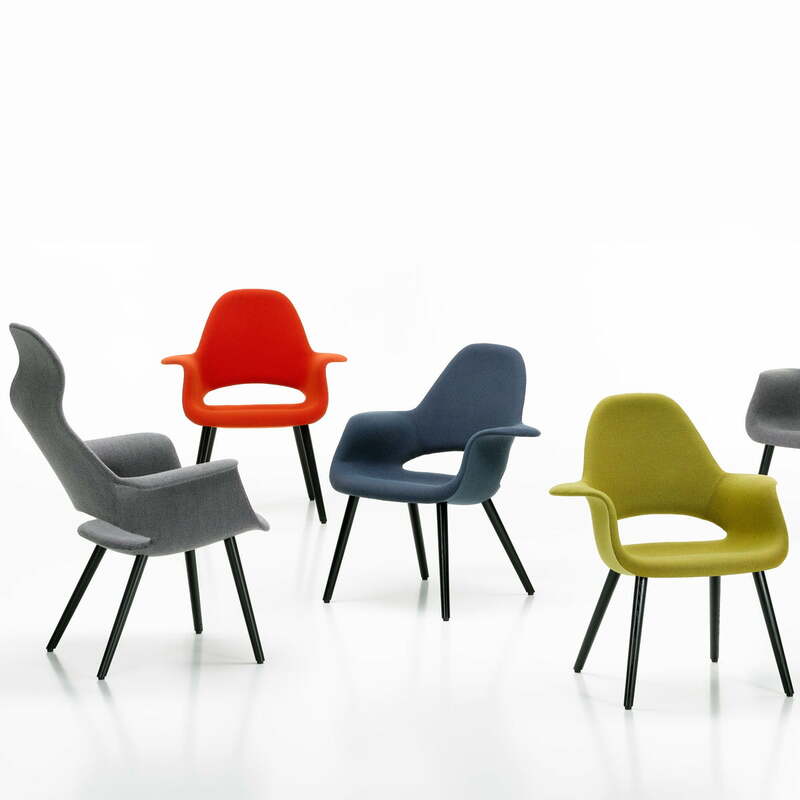 Charles Eames and Eero Saarinen created a comfortable chair with their Organic Chair in 1940, which was one step ahead in its time: The piece of furniture is still highly current today. The Organic Chair: a comfortable small reading armchair – emerged in 1940 as contribution for the competition “Organic Design in Home Furnishings” by the Museum of Modern Arts in New York. 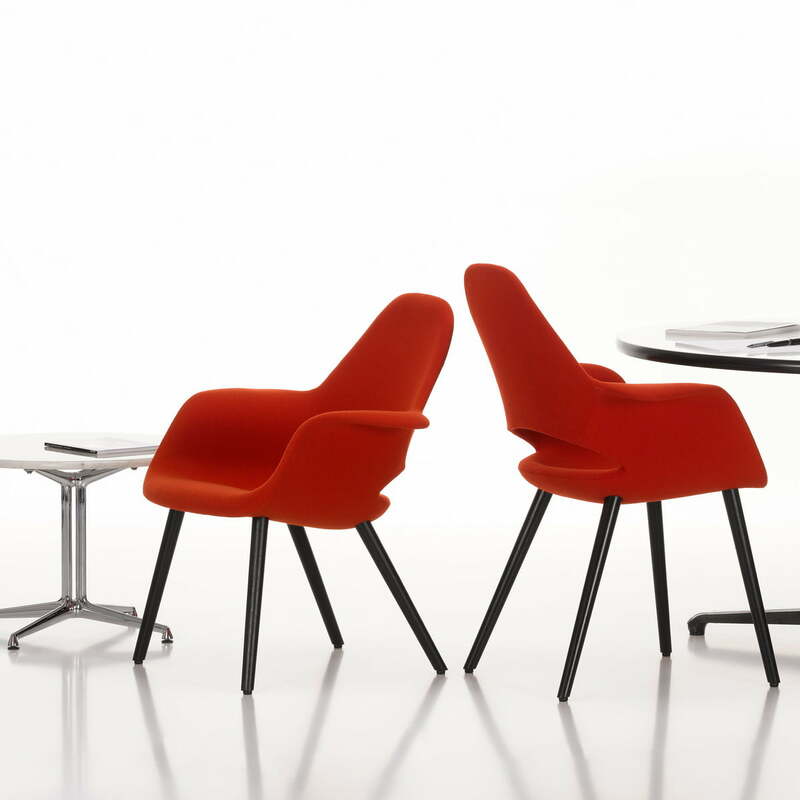 The cooperation of both design legends Eames and Saarinen was successful: Formally the different variants of the Organic Chair went one step ahead in their time. The armchair however, couldn’t be produced in series, because of a lack of production techniques. 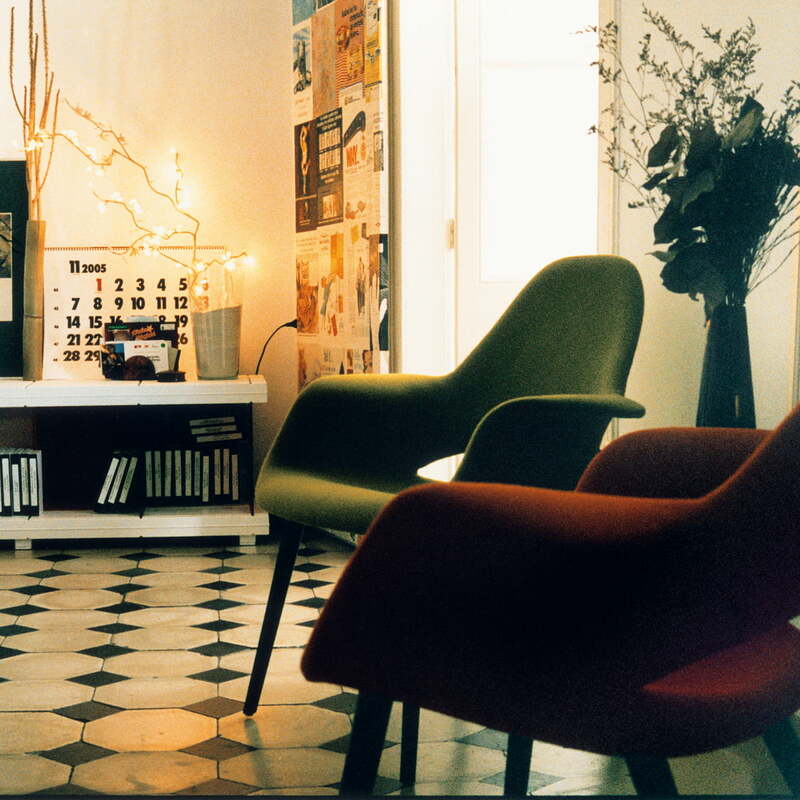 Only after 1950 it was possible to produce organic shaped seats and distribute in larger amounts, this is how also Charles and Ray Eames’ famous Plastic Armchair and Saarinen’s Tulip Chair were finally distributed. 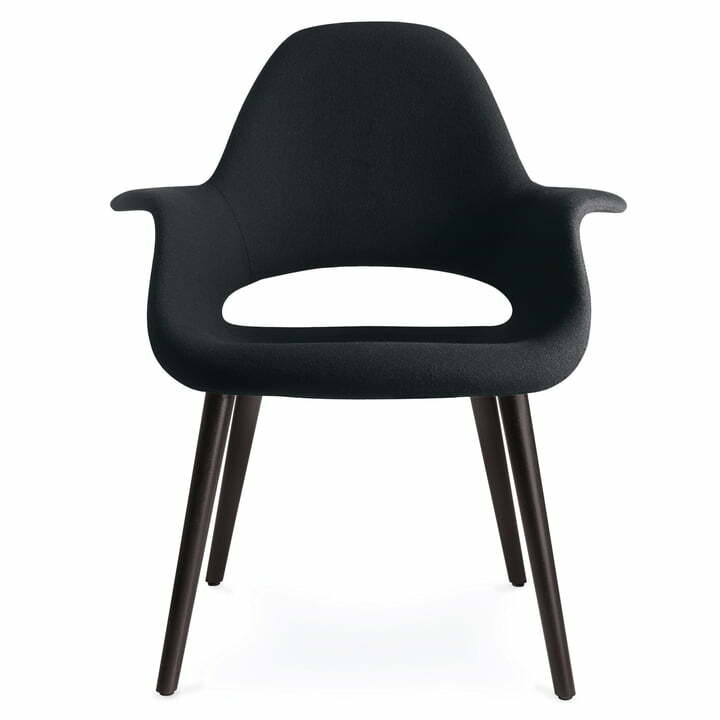 The Organic Chair is also available as Organic Highback armchair, with a higher backrest and larger and wider armrests. The Organic Conference edition is suitable to be used at tables. Moreover you can choose from different fabrics.